Rail Chaos Transpennine Express Cancels Services to Manchester Airport Whilst on the Train! Strikes and power failures have become the norm for Britain's increasingly unreliable railway network as illustrated on a grand scale just yesterday when virtually the whole of the South East rail network being brought to a shuddering halt for over 6 hours for the second time in a month, leaving passengers scrambling once more for alternatives to reach their destinations on time, especially stressful for time critical appointments such as catching a flight. Therefore we were definitely playing russian roulette when we chose to go by train from Sheffield to Manchester Airport to catch our EasyJet flight to Turkey. 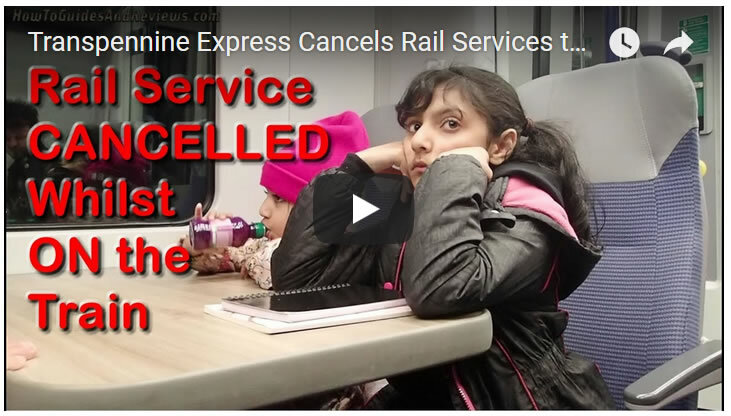 Though we did allow plenty of time for the Transpennine Express to screw up, and in that respect Transpennine express did not disappoint, as the rail service to Manchester Airport was CANCELLED whilst we were ON THE TRAIN! Watch our latest video for what it's like to travel on Britain's broken railways. The bottom line is that Britain's railways are unreliable, so travelers should only use the railways as a last resort, especially for time critical traveling such for catching a flight, either than or allow enough time to reach destinations through alternative transportation, else suffer the consequences.